Apply for Livestock Forage Program - Call office for appointment. Continuous CRP Grassland Signup 201 - Currently no deadline, apply any time. The FSA Office should receive notification later this week, if the county has been approved for Emergency Haying and Grazing. If approved, producers currently on the list at FSA will receive a phone call to begin their required paperwork @ NRCS and FSA. Written approval has been given to graze. Again, producers who are wishing to graze CRP and if the CRP participants are non-resident owners, you will need to obtain their signature(s) prior to grazing, therefore have their contact information ready. Monday, July 16this the Acreage Reporting Deadline for spring seeded crops. Producers visiting the office need to have the plant dates and acres planted. Producers who are planting any crops after July 15thhave 15 days after planting the crop to report those acres to the FSA office, without incurring a late-filed fee. 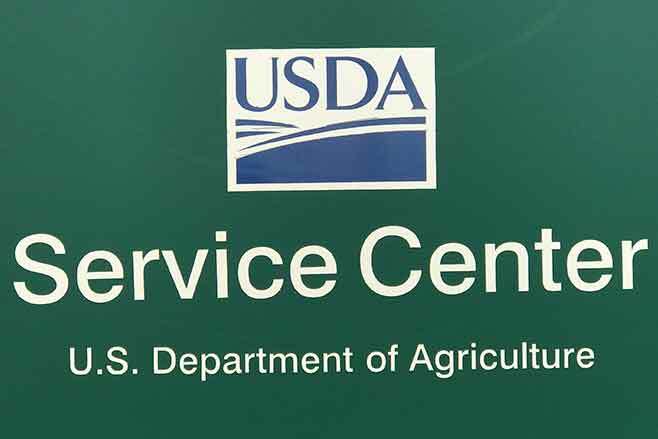 The U.S. Department of Agriculture (USDA) Farm Service Agency (FSA) encourages all farmers, ranchers, and FSA program participants to take part in the Kiowa County Committee election nomination process. FSA's county committees are a critical component of the day-to-day operations of FSA and allow grassroots input and local administration of federal farm programs. Committees are comprised of locally elected agricultural producers responsible for the fair and equitable administration of FSA farm programs in their counties. Committee members are accountable to the Secretary of Agriculture. If elected, members become part of a local decision making and farm program delivery process. A county committee is composed of three members from local administrative areas (LAA). Each member serves a three-year term. One-third of the seats on these committees are open for election each year. Eligible voters in LAA 2 in Kiowa County received a postcard recently announcing the nomination period. All nomination forms for the 2018 election must be postmarked or received in the local USDA service center by Aug. 1, 2018. For more information on FSA county committee elections and appointments, refer to the FSA fact sheet: Eligibility to Vote and Hold Office as a COC Member available online at: www.fsa.usda.gov/elections. It was status quo for counties in SE Colorado this past week, as there were no changes made on the Drought Monitor. The majority of Kiowa County remains in a D3 - extreme drought designation. More information is in the article found here.